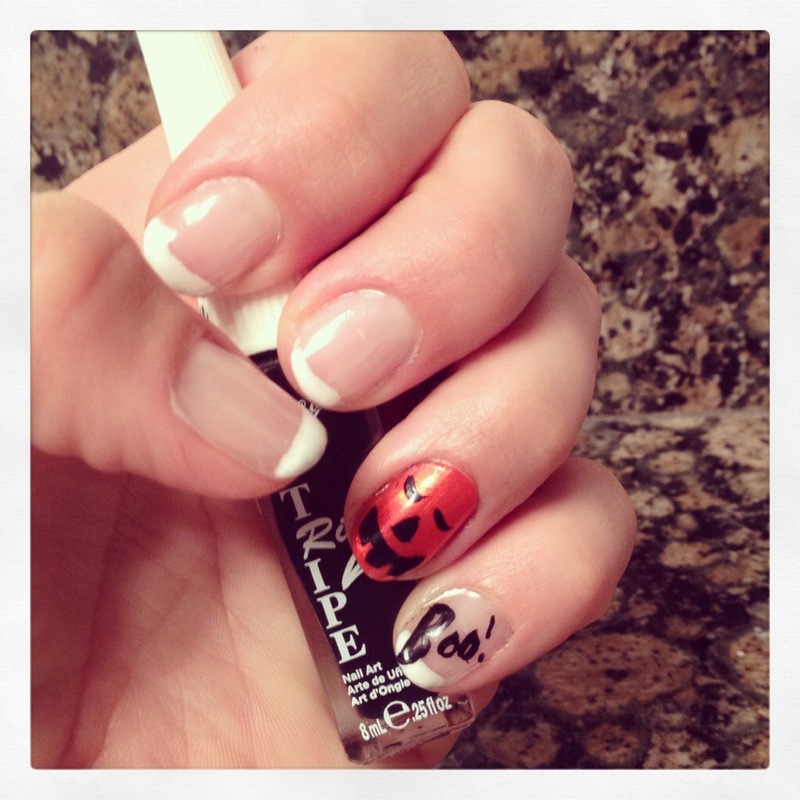 Playing around with fingernail polish today… This is what we came up with. A jack-O-lantern and a little Boo! So cute!!! And appropriately understated!! Hugs….. Thanks, my little one loves it!